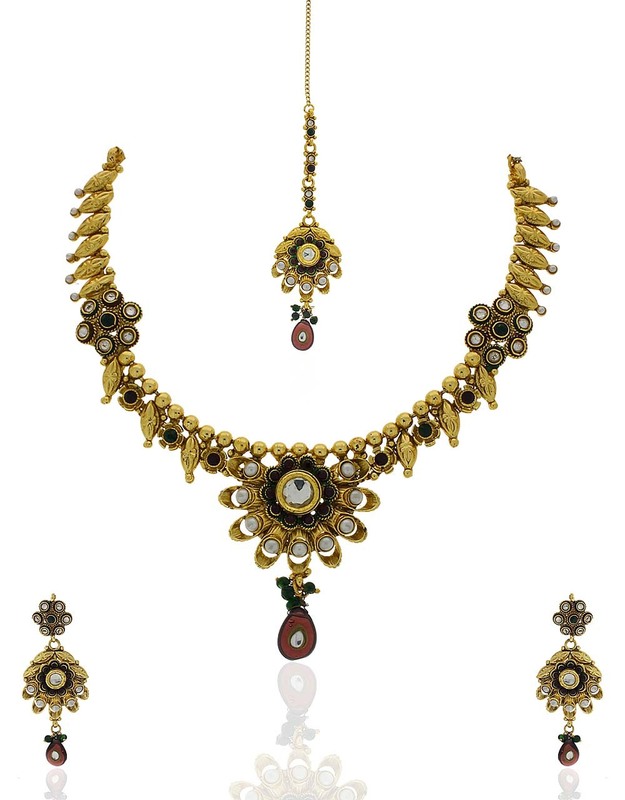 Amazingly attractive, this maroon & green colored necklace set from the house of Anuradha Art Jewellery will catch your attention instantly. 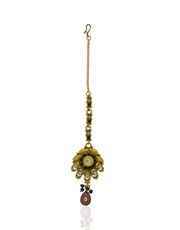 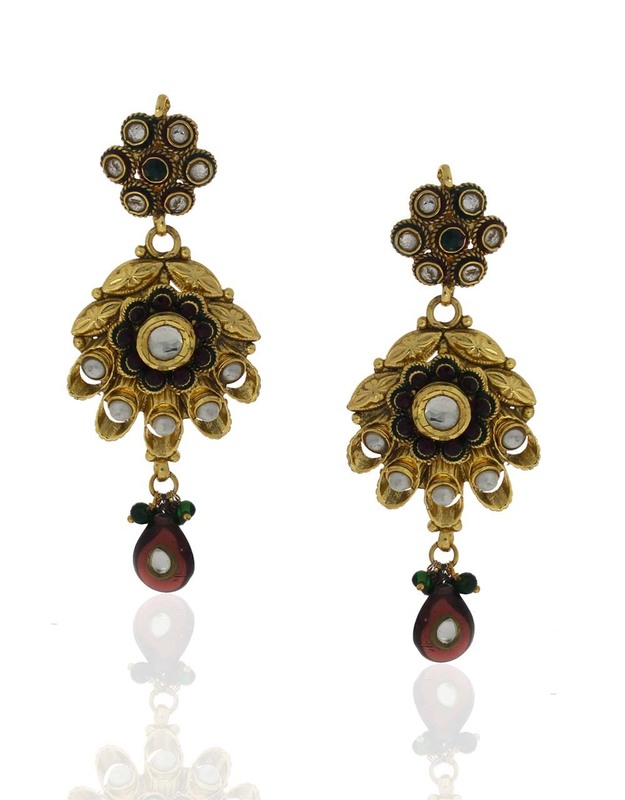 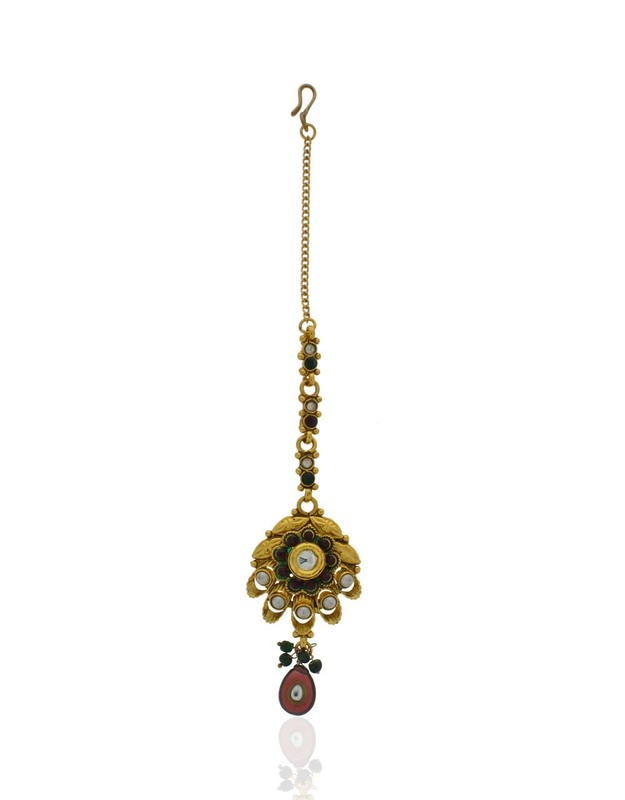 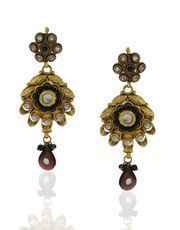 It is encrusted with polki stones & fashioned from golden polished copper. 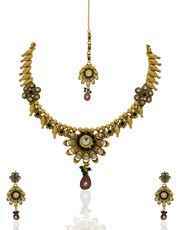 This set will compliment most of your ethnic outfits.